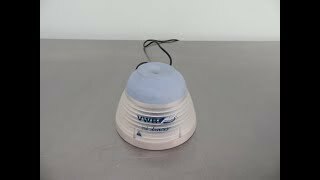 The VWR Lab Dancer S40 Mini Vortexer provides you with quick action vortexing for small samples. This touch and go lab mixer has a compact design so you can keep it handy without disrupting your workflow. The lab dance has a fixed speed of 2800 rpm, with an orbit of 4.5 mm, for reliable shaking and mixing of vessels up to 30 mm in diameter. This sturdy little vortexer has a base of coated zinc casting that’s resistant to corrosion with enough weight to keep it in place, and an inert plastic top. This VWR Lab Dancer S40 Mini Vortexer has been fully inspected and is performing to expectations. All of our lab equiment comes backed with our standard warranty. Should you have any questions, please don't hesitate to contact us.